The Perfect Place for Your Event! 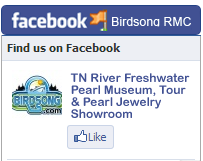 Now offering a variety of get-a-way options… Birdsong Resort & Marina has put together an array of unique specialty packages – affordably priced! Build your own package, or choose one of our pre-designed itineraries. We’re perfect for corporate meetings, company picnics, church socials, school field trips, family reunions and most any occasion that draws you together – not to mention a family weekend getaway or a honeymoon/anniversary hideaway. Time Is Here To Book Your Reservations! Wow! The reservations are quickly filling for our 2014 travelers who are booking retreats, week-end getaways, camping, tenting and boating. Please make your arrangements now for the perfect, romantic setting for Valentine’s Day 731-584-7880. 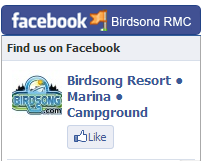 Birdsong Resort & Marina offer combination value “deals” for specialty and/or group adventures. Outdoor conference rooms and relaxed recreation make for excelled productivity when corporate brings employees on retreat. Towering oaks, romantic walks down the lazy nature trail, lake view cottages and brilliant western sunsets stage the perfect honeymoon or anniversary weekend. Miles and miles of 4-wheeler trails near by. The Bruceton Bottoms and Sand Pits are local favorites, and the 143 Off-Road Park offers trails for riding ATVs, MX Bikes, and other off-road vehicles. Directions and suggestions from the general office will make your visit a “blast.” Tournament weigh-in facilities, lake view pavilion with full kitchen facilities, overnight accommodations, fishing and pontoon boat rentals, slip rentals, catering services, entertainment arrangement – you name it. We’re the perfect place – for YOUR event.